School-Age group is meeting Tuesdays from October 9th through November 27th. Intake is required before participating in the group. Please call (843) 792-9162 to confirm attendance. 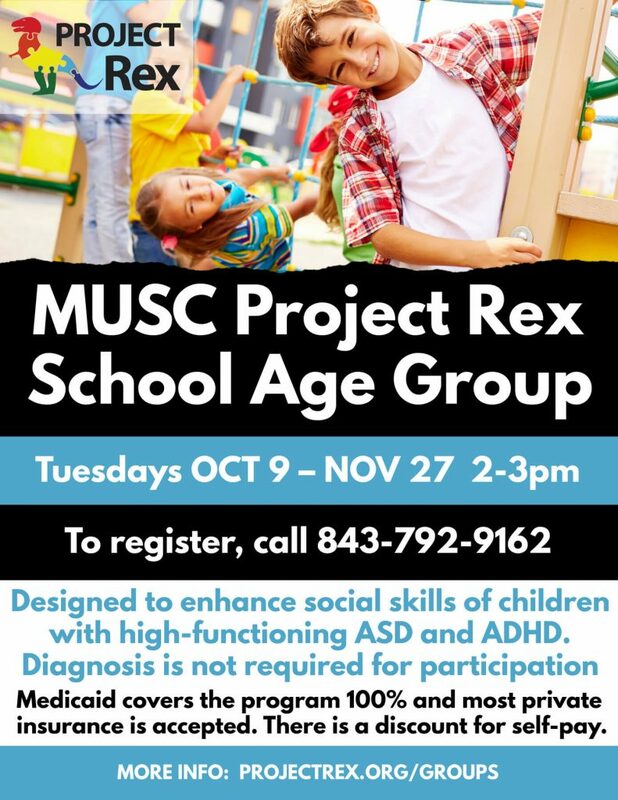 This 8-week group is designed to enhance social skills of children with high-functioning ASD and ADHD. Diagnosis is not required for participation. For full program details, please visit the School-Age group page.